Surrounded by mystique, the world of wine can be intimidating for the novice. What's the difference between bouquet and nose? Is Rioja a wine or a region? What's an appellation? And are you prepared to ask any of those questions at a dinner party, and risk being thought ignorant by other wine-loving guests? Wine demystifies the subject, decanting the knowledge you need in palatable sips. 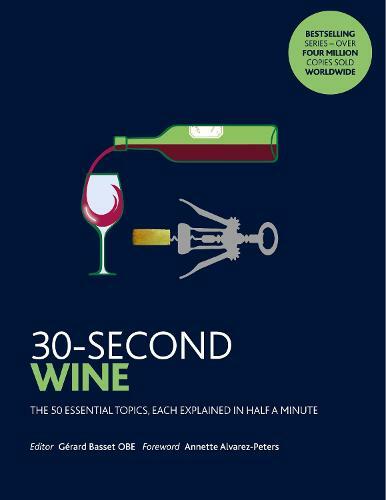 Compiled by wine experts, it's organised in a sequence of well-thought-out chapters, taking you from terroir to the technicalities of winemaking, introducing you to the important grapes and iconic regions, offering an overview of the business of wine and how it works, and concluding with a section on the enjoyment of wine. And with every entry edited into a neat and effective 300 words, it will leave you plenty of time to put your new-found expertise into practice.